SABIC has announced a milestone in its project to pioneer the production of certified circular polymers using a feedstock from mixed plastic waste. The latest achievement – the production of the first certified circular polymers – is part of what is known as a ‘market foundation stage’. This stage is an important step towards creating a new circular value chain for plastics, during which initial volumes of pyrolysis oil from plastic waste are introduced as feedstock at SABIC’s Geleen production site in The Netherlands. The patented pyrolysis oil has been produced by Plastic Energy from the recycling of low quality, mixed plastic waste otherwise destined for incineration or landfill. 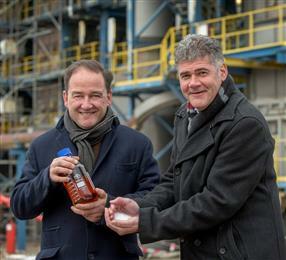 As part of the market foundation stage, SABIC has begun to produce and commercialise the first monthly volumes of certified circular polymers - polyethylene (PE) and polypropylene (PP)-, prior to the projected start-up in 2021 of the commercial plants planned by SABIC and Plastic Energy in the Netherlands to manufacture and process the alternative feedstock.